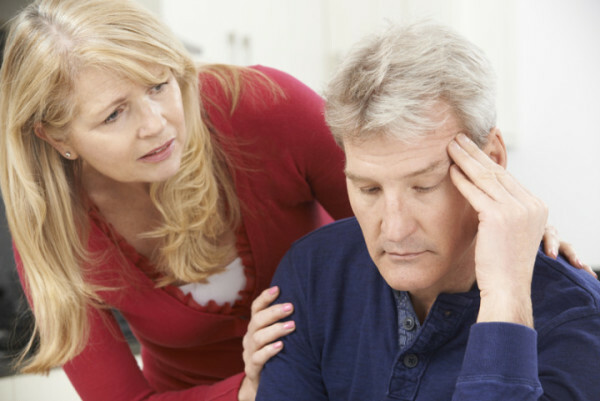 The pace at which the signs of dementia in men and the signs of dementia in women develop may differ, but in both genders the progressive disease is characterized by distinct phases. Here’s a look at Alzheimer’s stages and what they mean. Alzheimer’s disease usually begins with minor memory loss symptoms. People who have Alzheimer’s disease typically go through distinct phases in which symptoms gradually worsen. However, not everyone will go through all of the Alzheimer’s stages, nor progress through them at the same rate. For example, recent research has provided some evidence that in Alzheimer’s disease, the signs of dementia in men develop more slowly than signs of dementia in women. AD, which accounts for up to 80 percent of all cases of dementia, usually begins after age 60, but it can very rarely affect people as young as 30. It usually begins with minor memory loss symptoms that in many instances are early signs of dementia and, over time, affects other cognitive abilities, behavior, and mood as it gradually progresses into ever more severe dementia symptoms. Neurofibrillary tangles (twisted clumps of another protein, called tau, which accumulate within the neurons). Researchers believe that plaques and tangles disrupt normal brain cell activity, and block the transmission of signals between neurons, essentially shutting down communication in parts of the brain. Memory gradually deteriorates, affecting the person’s judgment and his or her ability to perform normal daily activities. 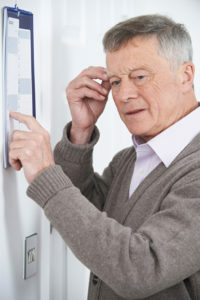 Mild cognitive impairment (MCI). MCI is one step beyond normal age-related memory loss, but it isn’t yet Alzheimer’s disease and it may never progress. Someone with MCI has a lot of trouble remembering simple things—for example, a familiar telephone number, or where he or she put the car keys. The person will have more trouble remembering names or words, performing complex tasks, and acquiring and retaining information. These memory lapses may become increasingly noticeable to others. Early-stage (mild) Alzheimer’s. A person can still be independent at this stage, but as the condition progresses, it becomes more difficult to handle multi-step tasks, such as making dinner or setting up a filing system for household bills. Family and friends, as well as the individual, might notice signs like forgetting familiar words or trouble recalling current events. The person can become increasingly withdrawn in social situations, and exhibit personality changes, irritability, anxiety, or depression. These emotional changes can put a strain on relationships with family and friends. Mid-stage (moderate) Alzheimer’s. This is the longest stage of AD, and it is the time when assisted care usually becomes necessary. The person will be unable to remember important information, such as his or her address or phone number. He or she will need help picking out clothes and remembering the date and time. The person may become confused or delusional at times and express irrational fears—for example, that someone is stealing from him or her. Severe (late-stage) Alzheimer’s. Cognitive ability becomes seriously compromised at this stage, as the person becomes unable to communicate or interact with his or her environment. He or she will need help performing even the simplest tasks, such as using the bathroom or eating. One of the saddest features of late-stage Alzheimer’s is a loss of the ability to recognize one’s loved ones. Although Alzheimer’s medications may help slow the progress of this devastating disease, AD is still incurable—and irreversible. However, treatments and support systems can significantly improve quality of life for people with Alzheimer’s disease. This article was originally published in 2016. It is regularly updated. alzheimer, alzheimer s dementia, alzheimer s stages, anxiety, anxiety or depression, beta amyloid, brain, cognitive impairment, dementia, dementia in men, dementia symptoms, depression, early signs of dementia, health, health news, mci, memory, memory improvement, memory improvement games, memory loss, memory loss symptoms, mild cognitive, mild cognitive impairment, mild cognitive impairment mci, mood, neurofibrillary tangles, personality, protein, severe dementia, signs of dementia, signs of dementia in men, signs of dementia in women, university health news.